Recognized Variant of the Month for April 2002. Twelve times per year we will select a Recognized Variant for special consideration. Its web page will be reworked and improved and a connecting link displayed on all of our CV Pages. We hope to encourage CVPhiles to read about, play and explore this featured variant. The birth of Fischer Random Chess. By Eric van Reem. News about Fischer Random Chess. FischeRandom Chess Generator. Zip-file, containing program that generates random starting positions for Fischer Random Chess. The second Progressive Fischer Random Chess competition. Competition playing Progressive Chess with FR-rules. Spanish rules for Fischer Random Chess. About a possible setup in Fischer Random Chess. Read part of an email I received for a smile. William I. Johnston sent us a list in FEN notation of all 960 positions. Interview with Peter Leko. Chess grandmaster comments on upcoming match of Fischer Random Chess. Interview with Michael Adams. A brief interview with chess grandmaster Adams on his upcoming match in Fischer Random Chess with Leko. 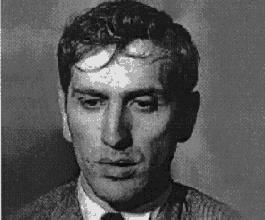 Bobby Fischer, a former world chess champion, proposed a variant of Orthodox Chess wherein the initial setup of pieces is chosen randomly. Fischer thereby joined the ranks of other former world champions, such as Capablanca, who proposed changes to the rules of chess -- none of which were ever implemented. Fischer Random Chess is somewhat similar to the older Shuffle Chess, or Prechess (or other related variants), yet has a unique style of its own. An extensive introduction and history of the game was written by Eric van Reem. The black pieces are placed equal-and-opposite the white pieces. Neither King nor Rook has moved. The King is not in check before or after castling. No square through which the King must move is under attack. All squares between King and Rook are vacant. No other pieces occupy any of the squares passed over by the King or Rook. The castling move does not result in a capture. If you have Zillions of Games installed on your computer, you can play this game. Download file: fischer.zip. First, place the two Bishops. There are 16 different ways for one bishop to be on a white square and the other Bishop to be on a black square. That leaves six empty squares. Now, place the King somewhere between the two Rooks. There are 20 different ways for a King and two Rooks to occupy six squares with the King in between. That leaves three squares for the two Knights and the Queen. There are three possible ways to place these pieces. Thus, there are 16 x 20 x 3 (960) legal arrays in Fischer Random Chess. Written by various authors. Information based on news postings by Terumi Kaneyasu; send to me by Terumi Kaneyasu and Dennis Breuker. Modest Solans noticed an error in an earlier version. The picture of Fischer is from Palle Mathiasen's World Chess Champions site. Edited by John William Brown for the occasion of this variant being selected Recognized Variant of the Month for April 2002. Rules corrected by Fergus Duniho in May, 2004. Kevin, you raise a good point about book sales, etc., but as for the "one year per setup" idea, I think Fischer's original plan was to avoid the opening theory discussion altogether. If everyone studied one particular random setup for a year, I'll bet White's advantage would be exploited even moreso than it is in the standard setup. With a random setup, determined just before the game starts, you can just look at a random position between two players and enjoy the actual battle of minds in that moment. The match would be 100% performance-based, instead of being so preparation-based. As a variant that's close to chess, Fischer Random (aka Chess960) does the trick of avoiding all opening theory admirably. One thing Chess960 lacks compared to chess is ironically usually seen as it's very strength and reason to exist, i.e. that one can't study Chess960 opening theory at home (if that's viewed as desirable/enjoyable), plus book sales thus will suffer, arguably to the detriment of popularizing the variant. This would be partly due to not otherwise having more literature around (i.e. about the opening phase of Chess960). A way to solve that to some extent is to adopt Kasparov's idea of using the same starting position for a year & then switching to a new one. I'd go farther and suggest not switching the start position for 50 or even 100+ years (chess opening theory took a long time to develop, after all). One drawback of this idea is that the game would be studied to death by, say, 960x100 years from now, whereas never knowing the position one will begin with, as per the rules of Chess960, would avoid such study. However, the lifespan of any board game of skill (e.g. chess) is liable to be finite for one reason or another, IMO. My estimates for the values of chess pieces applies here too, naturally: P=1; N=3.49; B=3.5; R=5.5; Q=10 and a fighting value of K=4 (though naturally it cannot be traded). The popularity of chess over the other variants is clearly due to its more compact, logical and symettrical design. Its a more modern game, aesthetically more appealing and easier to learn. To celebrate first move advantage as the central selling point, to be preserved at all costs, is risible. Its a bug, not a feature, as it is in any other strategy game. As for "tension", white retains move initiative, but against a prepared 960 array of black. The "tension" is now dual. And as for some 960 arrays being awkward well, yes, but they wouldn't have to play them (in nonrandomised asymettrical). Author: Terumi Kaneyasu and Fergus Duniho. Inventor: Robert J. Fischer.